I’m Austin, and this is my mobile coffee bar. I’ve been working in coffee for several years and decided I wanted to use it as a way to foster something I’m extremely passionate about - community & creativity. 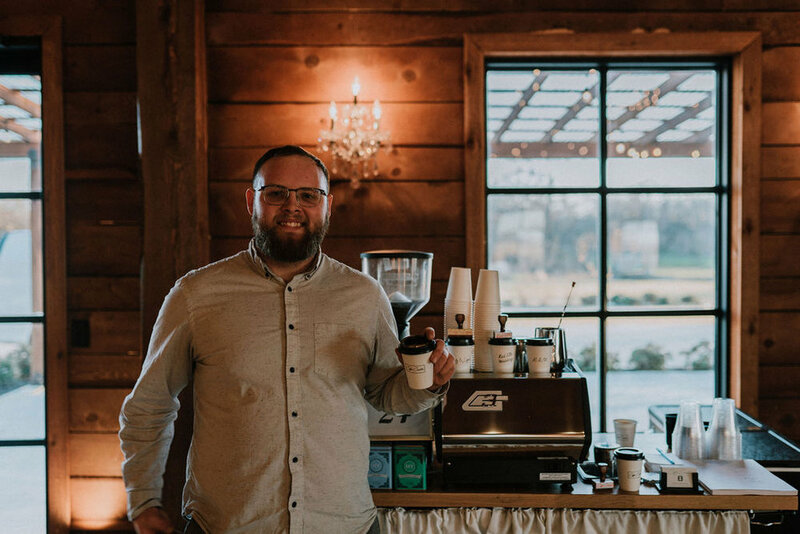 Coffee Creative exists to provide a unique experience for your next event or wedding; from the cup itself to a great attitude. When we create, we want to share. Coffee is the very thing I love to be creative with and want to share the joy of coffee with the people around me. Not only is coffee creatively inspired, but it brings people together. When people come together to talk about common goals or even their differences, it results in this amazing collaboration through the sharing of skills, world-views, talents, resources and more. As you consider Coffee Creative for your next event, know that you are supporting much more than just an endeavor, but also cultivating beautiful future connections. Open Bar - Come back for more! Let me get to know you, what you like and what your event is about. Let’s create an unforgettable experience! Thank you for inquiring with Coffee Creative and considering us for your event! Austin will get back to you within 3 business days or so. I’ve had the pleasure of collaborating with various creatives, business owners, and photographers alike, and I’m always looking to make more connections! Below are just some of the people I’ve worked with on various ideas and projects. Gallery photos provided my talented friend Jordan! Check out his website for more his work! Photo credit for the main photo of the website! The couple holding the cups are some of my closest friends and Tim Waters captured their love for Coffee Creative! These amazing people built my Mobile Coffee Bar! They built it to my specifications and were so gracious in the process of making changes! They also give a percentage of profits to end human trafficking! Check out their website for more information!